In the United States the world is not always as it seems. Some stories go unreported while others seem to be presented in a strange surreal light. Such is the life where the media is almost entirely committed to supporting the left. What is often referred to as left wing bias often goes beyond just putting a certain spin on stories. The main American media outlets, with the exception of FOX News and a couple of papers like the Washington Times, have become in essence arms of the Democratic Party. This was on full display when Time decided to put America and President Obama in the most unflattering light everywhere except in its U.S. Market. 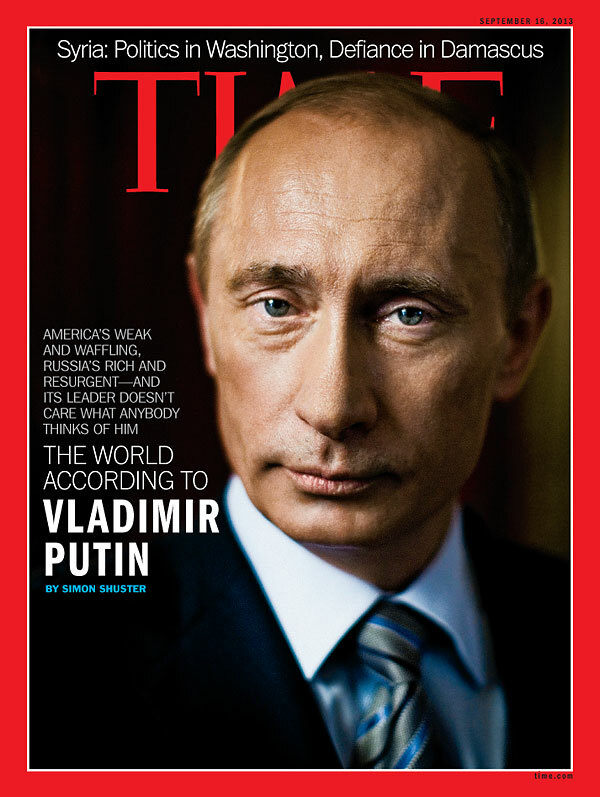 In a story that has been widely reported on the web and in the Washington Times but little place else, Time magazine put Putin on its cover as the man of the hour. Describing the U.S. foreign policy (IE: Obama’s foreign policy) as “weak and waffling,” it presented Putin as strong and decisive. What they said is of course true, but most Americans never saw the cover. 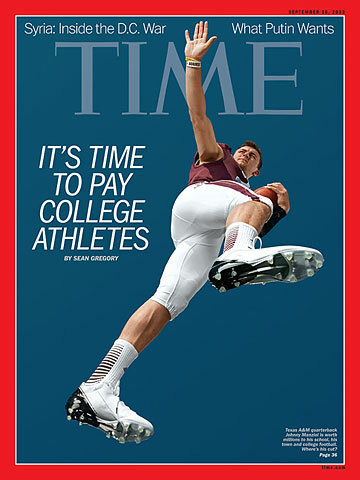 The reason is it was never released in the U.S., instead Americans were treated to a story about paying players of college sports. The fact is America is the only place where the cover touting Putin’s triumph and Obama’s embarrassment was not published. It goes without saying Time would not of gone out of its way to protect a Republican president from such embarrassment. It also shows they know what all the world knows, Obama is a failure at foreign policy. President Obama is the weakest and most ineffective presidents since Jimmy Carter. Something even a devoted Obama supporter like Time cannot cover up. To a point, even some of the turmoil in the Middle East should be laid on Obama’s doors step. A fact that means the media who aided in Obama’s re-election have blood on their hands in addition to being guilty of journalistic malpractice. Of course the incompetence of President Obama goes far beyond just his inability to navigate the intricacies of international politics. His economic policies have been disastrous as well. With the non-employed reaching new heights as well as record numbers of Americans on welfare, the U.S. is far from economic recovery. Poverty rates are now what they were in the sixties and incomes for 80% of Americans have fallen since the U.S. entered the Obama “recovery.” Blinded by ideology, he has managed to suffocate the U,S. economy under an mounds of red tape, regulations and most of all ObamaCare. It is unlikely the American media giants will be reporting on how much of a failure Obama is anytime soon. His incompetence will continue to be treated as if it doesn’t exist, at least domestically. To that end, Time’s actions are not surprising or even out of character. What makes their actions note worthy at all is the fact that it is not often media political bias is on display in such a blatant form.